Fleming H. Revell Company, 9780800729271, 400pp. When Darcie and Walter Goodwin hear of a new cholera epidemic sweeping the area, they join the Shakers whose villages seem immune to the disease. It's meant to be a temporary stay, but Walter is killed in a riverboat accident. With no family and no money, Darcie has little choice but to stay with the Shakers. To complicate matters, she is expecting a baby conceived before she and her husband came to the Shaker village. Marital relationships are considered sinful in this celibate community, putting Darcie in a unique--and lonely--position. Can the arrival of widower Flynn Keller and his headstrong daughter offer Darcie the hope of happiness . . . and family? Ann H. Gabhart returns to the enigmatic world of the Shakers in this emotional exploration of the power of love and the bond of family. 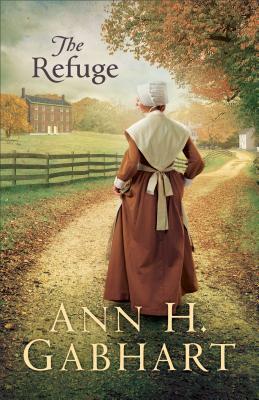 Ann H. Gabhart is the bestselling author of several Shaker novels--The Outsider, The Believer, The Seeker, The Blessed, and The Gifted--as well as other historical novels, including Angel Sister, These Healing Hills, and River to Redemption. She and her husband live on a farm a mile from where she was born in rural Kentucky. Ann enjoys discovering the everyday wonders of nature while hiking in her farm's fields and woods with her grandchildren and her dog, Frankie. Learn more at www.annhgabhart.com.